Warren Miller cranked out 55 ski movies in 55 years and made it look easy. A new documentary ‘will pull back the curtain’ to show how hard it was. 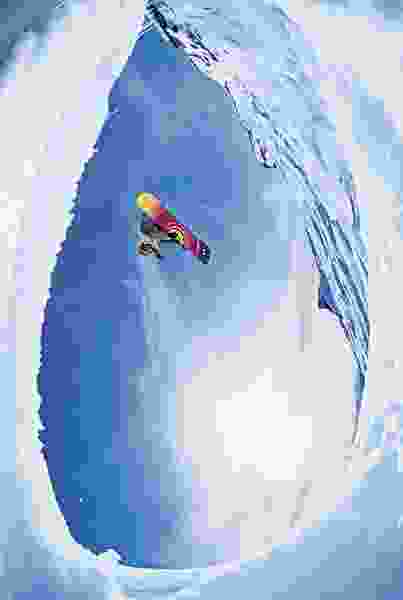 (Courtesy photo) Natasha Zurek drops in on an ice-wave during the filming of Warren Miller's 2004 movie "Impact." As a teen growing up in Provo, Brian Wimmer knew winter was coming when Warren Miller brought his latest ski movie on tour. Miller’s long career as “the Pied Piper of skiing,” beating the drum for winter sports and helping the industry grow, is chronicled in the new documentary “Ski Bum: The Warren Miller Story.” The movie will be shown Friday as the opening-night film of the 2019 Slamdance Film Festival. Slamdance, the scruffy kid brother of the larger Sundance Film Festival, runs through Thursday, Jan. 31, at the Treasure Mountain Inn, 255 Main St., Park City. Creadon’s first documentary, “Wordplay,” about the making of The New York Times crossword puzzle, premiered at the 2006 Sundance Film Festival. He conducted the last on-camera interview with Miller in May 2017. Miller died Jan. 24, 2018, at age 93. (Photo courtesy of Lorton Productions) Warren Miller, seen here in his early days of skiing and filming simultaneously, is the subject of the documentary "Ski Bum: The Warren Miller Story," which premieres Friday, Jan. 25, in Park City as the opening-night film of the 2019 Slamdance Film Festival. 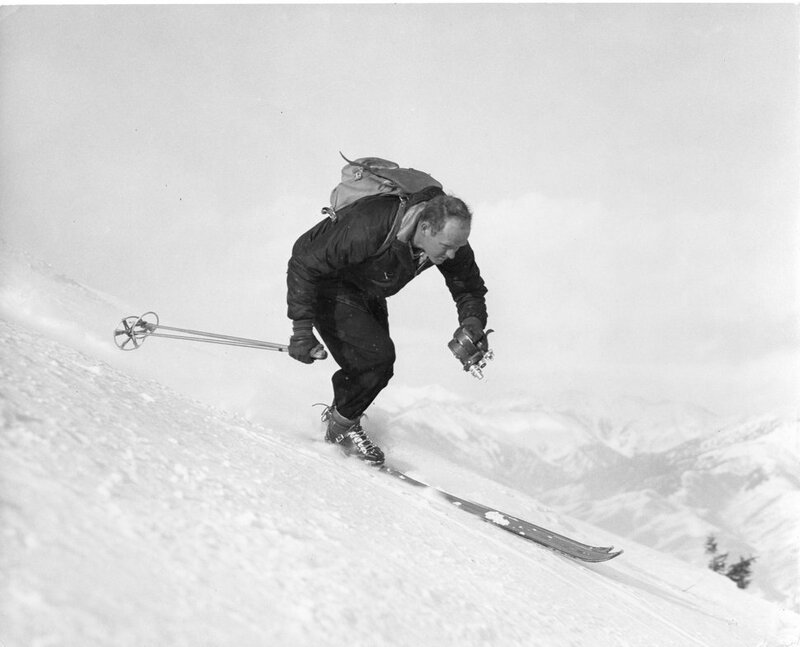 The documentary covers Miller’s distant relationship with his alcoholic father and his vagabond days touring the few ski resorts that existed in the 1940s. It delves into how he accused his mother and sister, who ran Miller’s film production company in the early days, of embezzling some $100,000 from him. It details how life on the road, making movies, led to the end of his second marriage and left him estranged from his three children for years. Besides interviewing Miller, Creadon gathers a Who’s Who of the skiing world, including extreme skiers Scot Schmidt and brothers Dan and John Egan, Olympic skier Jonny Moseley, and Miller’s collaborators, such as the ski cameraman Greg Stump. Wimmer — who worked at Robert Redford’s Sundance resort as a kid “so I could get lift tickets” — falls into that category. As an actor (best known for the TV series “China Beach”) and filmmaker, Wimmer used his Hollywood connections to help launch X-Dance, a film festival highlighting extreme sports. X-Dance started in Park City in 2001, one of the alternative festivals that used to crowd Main Street in the shadow of Sundance and Slamdance. It moved to Salt Lake City in 2008 and disbanded after the 2012 event. Wimmer is looking forward to the premiere at Slamdance, where many of the movie’s interview subjects will be in attendance. The Slamdance Film Festival is the scrappy alternative to the Sundance Film Festival. Tickets • $14 for features, $10 for shorts programs. Passes are also available.